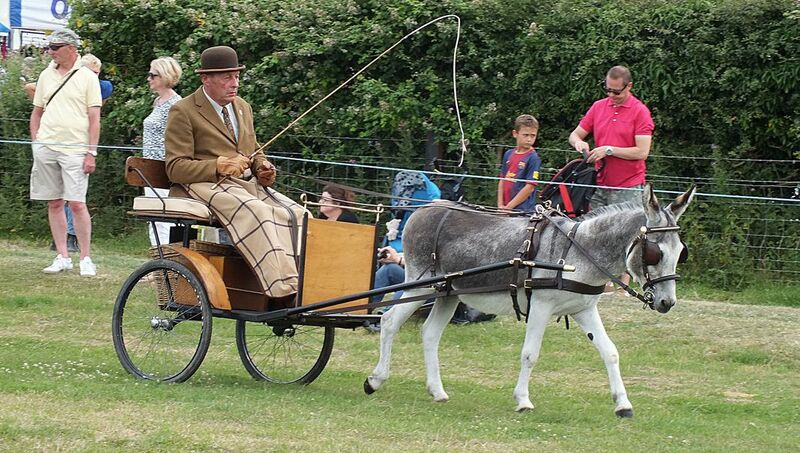 Great show. 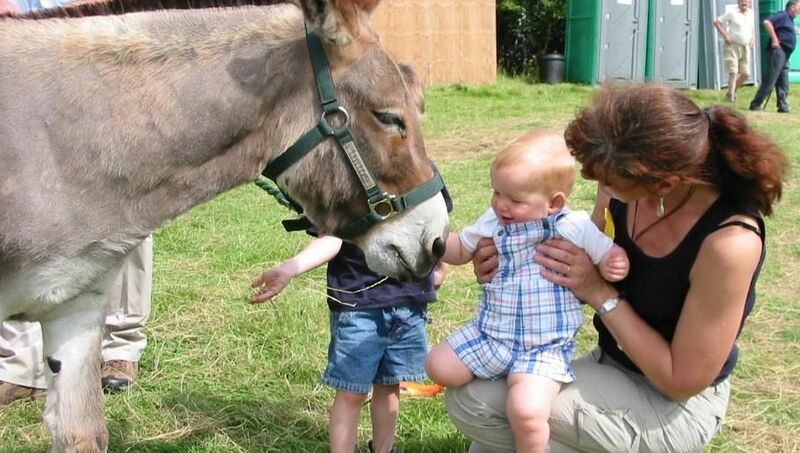 So much going on, so much to see, you will need the whole day to get around it all"
Entry numbers are always high for the Donkey Show and Open Driving Class. 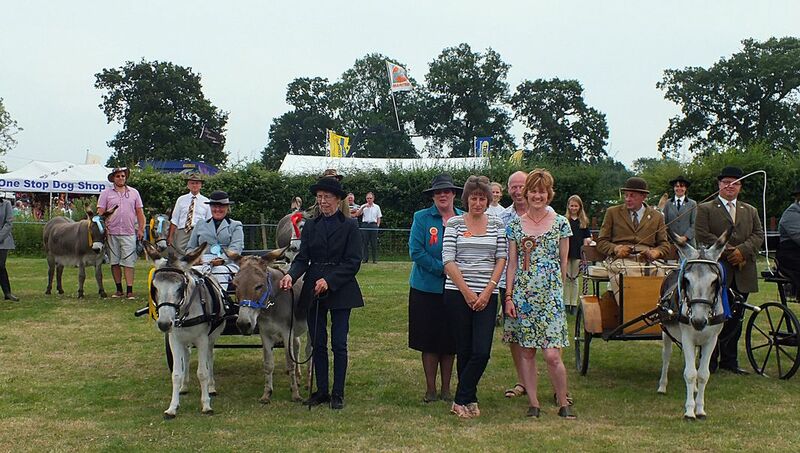 These take place in the 8th ring and the donkeys are always around for photo opportunities during the day. 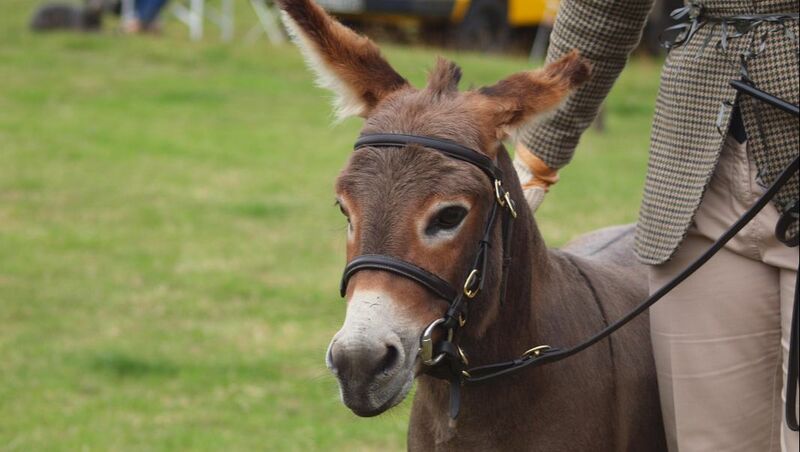 Miniature, standard & large breed donkeys are all shown. 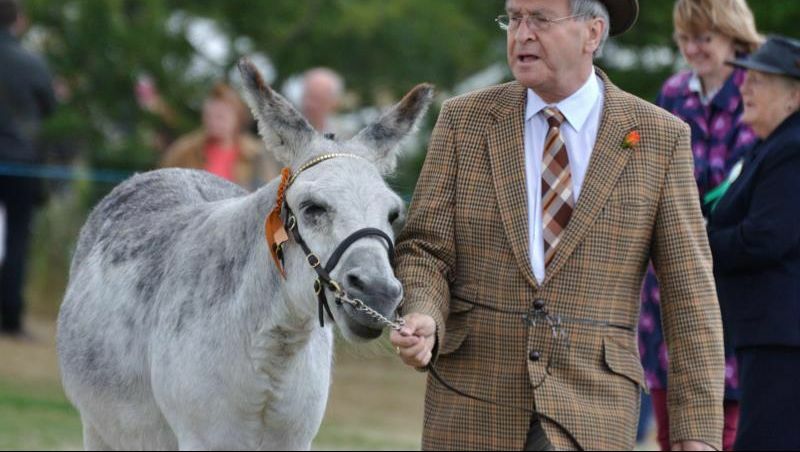 The Donkey classes are open to everyone, whether a member of the Donkey Breed Society or not, but note that DBS rosettes can only be awarded to donkeys owned by DBS members. 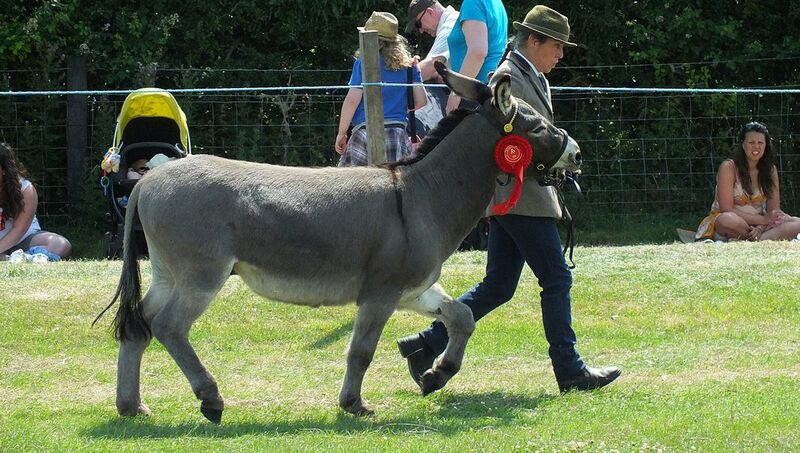 The Donkey Show includes a young handler class and within the 12 cups and trophies in this section there is a cup for the best young handler of the year.